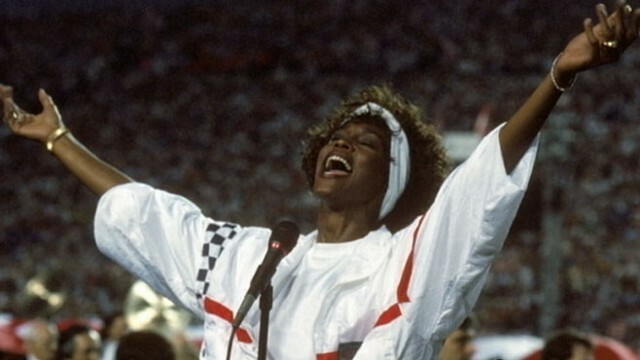 Watching Whitney, the latest documentary from Kevin Macdonald – Touching the Void (2003), Marley (2012) – you’re almost waiting for that moment, the one where the acclaimed singer took the wrong path, the point where it all started to go horribly, terribly wrong. But as the movie progresses, and several moments appear as if they could be the one, Macdonald reveals a sadder truth: the somber tragedy of Houston’s later life and career was caused by a number of problems that the singer never faced up to or properly dealt with. That’s not to say that Houston was the author of her own downfall, but instead she was someone who was taken advantage of in different ways – by her family, her friends, her various collaborators, her husband – and because these problems were both incremental and consistent, she found herself unable to deal with them. Escape through drugs was her only, perceived, option. As this becomes clearer and more obvious through the testimonies of the people who were with her during the Nineties, another, even sadder truth emerges: no one did anything to help her. Through all the highs and lows of Houston’s life, and despite all the attention she had, and all the success, her loneliness is made undeniably apparent. Much has been made of the movie’s “revelation” that Houston was molested by her first cousin, Dee Dee Warwick, when she was a child, but Macdonald wisely acknowledges it and the anecdotal nature of its provenance, and doesn’t allow it to take up too much of the running time. He’s too intent on examining her life and career from the arms-length distance of an observer, allowing those who knew her to provide bias or clarity or their own self-interest as appropriate – except for Brown, who is challenged when he asserts that drugs had nothing to do with Houston’s life, or what eventually happened to her. But though the tragedy of Houston’s life is revealed in broad, unhappy swathes that are sometimes hard to watch (a comeback show in Australia is particularly hard to bear), this is still a celebration of a musical talent that touched the lives of millions around the world. Using archival footage, Macdonald shows the impact Houston had, and how deserving she was of the success she achieved. 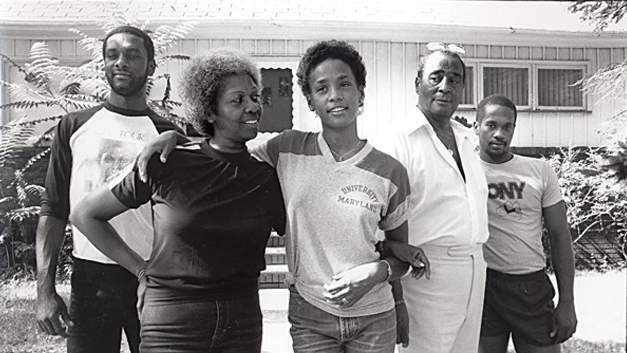 Her talent may have been a blessing and a curse, but what is certain from this sensitive and deftly assembled documentary, is that her talent is what truly defined her, and that’s something that a tragic end can’t erase. 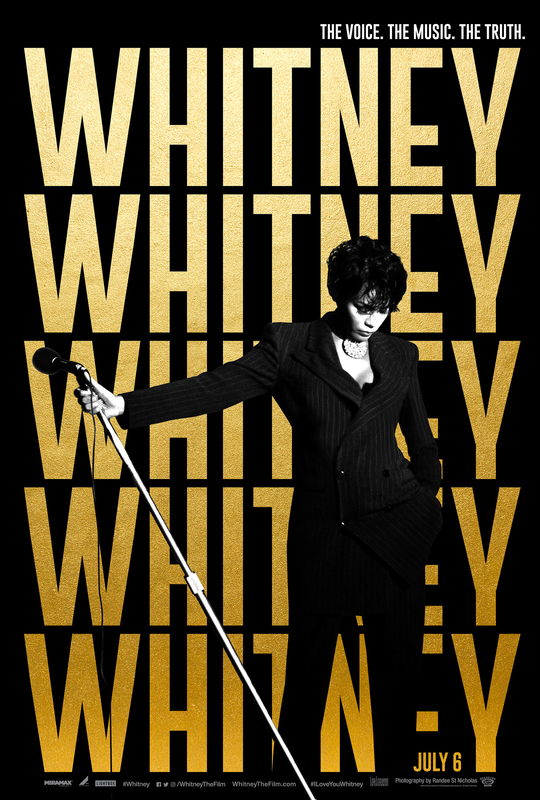 Rating: 8/10 – an absorbing, entertaining, and thoughtful movie, Whitney makes no judgments about the singer’s life and career, or the choices she made, but it does highlight the various ways in which she lost control of her own destiny; a heartfelt mixture of joy and sadness, with powerful reminders of her prodigious talent, it’s a movie that also reinforces the notion that success and fame aren’t always precursors to happiness.